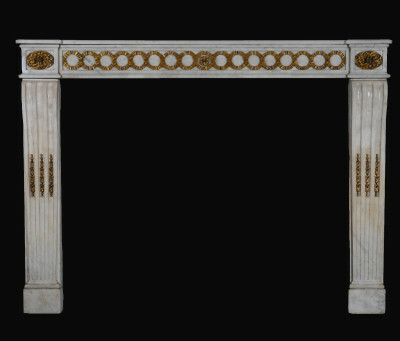 An exquisite Louis XVI fireplace in white Carrara marble and gilt ormolu. 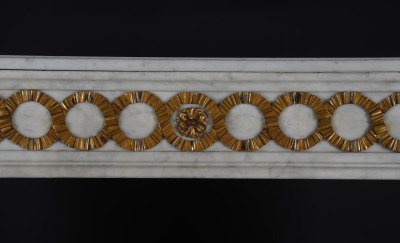 The moulded shelf sits above a panelled frieze finely decorated with an ormolu guilloche made of interlocking circles, centred with a finely cast rosette. 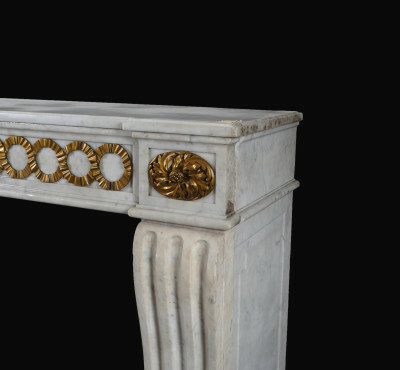 Elliptical floral paterae sit above beautifully carved fluted jambs, decorated with ormolu husks.